Moving Locally Within The Winchester Area? Moving To Winchester? We Can Help! Schepens is proud to be a 4th generation family run Winchester removals company and with over 100 years experience in the removals business, you can be certain of receiving a first class service at affordable prices. We are a local removal company, and have helped people to move to all areas around Winchester including Stockbridge, Wanston, Andover, King’s Worthy, Eastleigh, Chandler’s Ford, Southampton, Petersfield, Bishop’s Waltham plus many more. 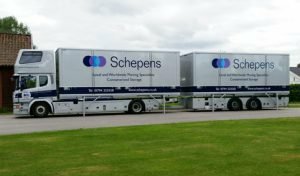 Why use Schepens for removals to Winchester? Schepens employ skilled movers are trained to British Association of Removers standards. These standards guarantee that your possessions will be moved to Winchester safely, carefully and quickly. We know the area well! Our talented staff have been performing removals in Winchester for many decades and have developed a strong local knowledge. This local knowledge helps us to provide a reliable removals service to Winchester — we know the best route to take to get your cargo to its destination on time. We offer a professional packing service for removals to Winchester that helps to ensure your fragile possessions make it in one piece. Our experienced packers use high-quality packing materials and have the experience required to pack your possessions correctly. All aspects of the move to Winchester are fully insured, including the drivers and vehicles. The vehicles used are also alarmed and have GPS tracking to protect your cargo from theft. Clients are offered a range of cargo insurance policies to choose from. One of our move coordinators will explain the cargo insurance options that are available to you well before the move is scheduled to occur. Extended liability insurance is also available. Schepens regularly perform removals to Winchester and other parts of Hampshire. This means that we can offer clients a very flexible range of delivery schedules. The large volume of cargo that we move to Hampshire allows us to obtain some great discounts from fuel providers, which we pass on to our clients. Schepens take great pride in the level of customer service that we provide to our clients. We treat all clients with a great deal of respect and we strive to provide the best customer service possible. Because we are a 4th-generation, family-owned company, we take great pride in our reputation and care about our clients. All house removals to Winchester are carried out using our fleet of modern removals vehicles. They are specialist removals trucks that are well-maintained, modern and perfect for moving cargo over long distances. Our removals trucks feature air ride suspension and an adjustable barring system to reduce the risk of damage to cargo during the journey to Winchester. We are also able to provide safe, secure and clean storage within easy reach of Winchester on a short or long term basis. Stockbridge, Wanston, Andover, King’s Worthy, Eastleigh, Chandler’s Ford, Southampton, Petersfield, Bishop’s Waltham plus many more. If you need a removals company in Winchester, then Schepens has the experience, expertise and local knowledge to offer you a smooth, trouble-free move. Schepens are delighted to be able to offer over 100 years experience as a first-class Winchester moving company. Our team of professional and reliable movers can help with house moves of all sizes in the Winchester area. We understand that moving home can be stressful, which is why we offer a bespoke service, entirely designed to suit the individual needs of every mover. After all, no two homes are the same, so we don’t expect every house move in Winchester to need the same service either. We offer safe and secure local removals for Winchester, using our fleet of top of the range removal vehicles. Our staff all wear their Schepens uniforms with pride and will be on hand to help with every aspect of your removals to Winchester. We can even supply you with extra strong moving boxes to ensure that your belongings are as safe as can be during transit. Because of our extensive local knowledge, excellent customer service and reliable team of removal staff, we have built a reputation for being the very best movers for Winchester. From the very first contact, we are confident that you will be delighted with the service we provide. Our estimator will visit your property in the first instance, in order to provide you with a tailor-made removals quote to suit your requirements. We don’t believe in offering a “one size fits all” service and can help with every type of removals in Winchester, from a large detached home to a single grand piano – we can help! Winchester is known as a unique portal to England’s past and was once the national Capital city of England. From the grand cathedral and grounds to the still operational City Mill and the Great Hall of Winchester Castle which houses King Arthur’s round table, Winchester is a noble city steeped in British history. It is also a great place to live, with plenty to offer young professionals, families and retirees alike. As an affluent and sought after area of Hampshire, Winchester house prices remain well above the national average. Data from leading home price website rightmove.com indicates that last year most property sales in Winchester involved terraced properties which sold for on average £519,183. Detached properties sold for an average price of £736,730, while semi-detached properties fetched £537,848. Whilst the prices may be steeper than in other parts of Hampshire, the quality of life and nearby facilities make the investment in Winchester well worth it. Many of the schools in Winchester sit well above the national average in both performance and attainment tables. One of Winchester’s top primary schools, for example is St Faith’s Church of England Primary School, was recently ranked joint No.1 in the country by the Department of Education. St Bede Church of England Primary School, in the city centre, along with St Peter’s Catholic Primary School and Sparsholt Church of England Primary are also highly regarded and very popular with young families in Winchester. Secondary education also ranks very highly, with the King’s School being one of Winchester’s most desirable secondary schools, having reached Ofsted’s top rating of “Outstanding” for several years in a row. The city is also home to Winchester College, a prestigious and historical boys boarding school that continually ranks very highly and continues to offer first class education and has been a part of Winchester’s rich history since 1323. The city also offers its very own Winchester University, which is currently ranked as the 10th best university in the South East of England. Perfect for exploring the past, a day out in Winchester is time well spent. From the medieval splendour of Winchester Catherdral, to the battlements of both Wolvesey and Winchester Castles, you will instantly feel in touch with the city’s rich and varied history. You can even visit the ancient Iron Age forts on St. Catherine’s Hill to take you even further back in time. While the city may be historically important, it is certainly not stuck in the past, with a wealth of shopping centres and other local attractions, Winchester offers something for everyone. IF YOU ARE LOOKING FOR PROFESSIONAL AND RELIABLE WINCHESTER MOVING COMPANY, CALL SCHEPENS TODAY FOR A FREE, NO OBLIGATION QUOTE ON 01794 323 558. Winchester is a beautiful city, beloved by its inhabitants (it’s currently – officially – the ‘happiest’ place to live in Great Britain), and by tourists that visit for the cathedral, the Christmas Market, and the beautiful Hampshire countryside, year-round. As is the case with many of the UK’s glorious heritage cities, however, the very features that make visitors flock to them, can provide head-scratching problems for people living with them day-in, day-out. We are regularly contacted by people living in, moving to, or relocating within Winchester, who are looking for professional piano movers capable of navigating the one-way systems, the narrow streets, and the difficult parking restrictions in order to transport a precious grand, or concert piano. Moving a piano is not a job for a ‘man with a van’! It requires specialist training, equipment, insurance, and experience. Our dedicated team of piano movers in Winchester know the problems that come with the terrain, and have successfully moved pianos up stairways, through windows and once, memorably, up a hill! Our team of uniformed professional piano movers are trained, and our fleet of removals vehicles are designed to provide secure door-to-door accommodation for your piano. Piano moving in Winchester is carefully planned and we have specialist equipment such as platforms, trolleys and cranes to enable us to safely manage your piano from one location to another. 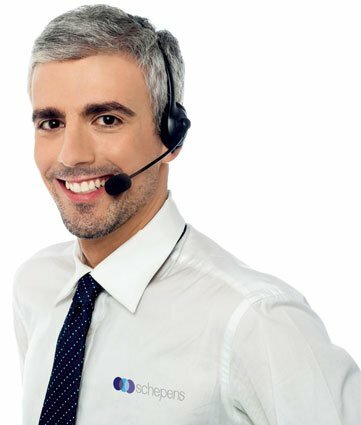 The minute you contact Schepens, you’ll start to feel the stress fall away. We believe in looking after our customers from first contact to hand-over in their new location. Our team of professional piano movers will visit in order to assess the requirements, and provide you with a piano moving cost. When quoting, we take into account the type of piano (we’ve moved grand pianos, baby grands, uprights, and electric pianos), the complexity of the access either at source or destination, the length of the journey, and the size of the team required. We always advise customers to get two or three quotes, and we’re happy to say that, in the majority of cases, the price and transparency of costing brings them back to us. WE CAN GUARANTEE A SAFE AND SECURE JOURNEY FOR YOUR PIANO AND WHAT DIFFERENTIATES SCHEPENS IS THAT IT GIVES EACH AND EVERY ONE OF OUR STAFF GREAT PERSONAL DELIGHT TO COMPLETE A MOVE SUCCESSFULLY AND PROFESSIONALLY. SCHEPENS HAS THE EXPERIENCE, SKILLS AND LOCAL KNOWLEDGE TO MAKE PIANO REMOVALS IN WINCHESTER A BREEZE! CONTACT US TODAY ON 01794 323558 TO GET A FREE, NO-OBLIGATION QUOTE. The beautiful city of Winchester, once the ancient capital of England, has everything a visitor could wish for: an eleventh century world-famous cathedral, architecture reaching back to the sixteenth century, narrow winding lanes and cosmopolitan shops and bistros clustered around a pedestrianized centre. For the house mover however, the view is quite different: Winchester’s one-way system makes the city difficult to navigate, parking is at a premium, narrow streets make access problematic, and old buildings provide challenges for large removals such as heirloom tables or pianos. Taking the stress out of moving day means working with a Winchester removals company which knows the city well, has professional knowledge of the challenges it presents, and takes pride in managing your move as efficiently as possible. Schepens is a family-run removals company with a hundred years of experience to put at their customers’ disposal. Our house movers in Winchester work across Hampshire and are well placed to provide expert advice to customers on the kinds of issues they might encounter in the course of their move. Key to any removals process is detailed planning; the Schepens BAR trained removals team work with clients to assess the size of the move, the estimated time the move will take from packing to installation, and the challenges that may be encountered in the process. Our friendly, professional Winchester removals team can offer clear pricing based on their assessment, valuable local advice on the removal destination and effective solutions for the majority of problems that may arise. Schepens are a removals company of choice in Winchester because we provide our customers with a tailor-made removals package which is ideal for their needs. Our small moves package is designed for customers who have only a few items they wish to transport (such as students moving into accommodation), or one large item such as a grand piano. Whatever you need to move from one location to another, we will collect, manage the heavy lifting, and deliver. Customer service has always been at the heart of our business, so you are guaranteed a service that treats your furniture and possessions as though they were our own. At Schepens we know that leaving one home in order to start afresh elsewhere is process full of mixed emotions and logistical headaches. We are committed to helping customers to plan successfully and enjoy their removals journey, knowing that their home is in safe hands every inch of the way. MOVING HOME NEEDN’T BE HARD WORK, LET SCHEPENS MAKE YOUR MOVE TO WINCHESTER A BREEZE! CONTACT US TODAY ON 02380 070071 TO GET A FREE, NO-OBLIGATION QUOTE. Schepens are the leading provider of house removals to Winchester and other regional city centres throughout the United Kingdom. Our company has more than 100-years experience and we have been performing Hampshire removals for many decades. We know this lovely part of the southern coast very well and enjoy helping clients move to Winchester. Schepens use talented staff and move coordinators to make Winchester removals simple and stress-free for our valued clients. We carefully hand-pick our staff, only using removers who are experienced, friendly and trained to British Association of Removers (BAR) standards. Our company has the equipment and staff to handle removals of any size to the Hampshire area — from small flats through to large commercial removals. This article will take a look at the reasons why so many people are moving to Winchester before explaining the Winchester removals services that we offer! WHY SO MANY PEOPLE ARE MOVING TO WINCHESTER? Winchester has a very high standard of living with a high GDP per capita, low unemployment rate, low crime rate, and low cost-of-living, This makes it an ideal place for families to move to. The city has some significant cultural sites including Winchester Cathedral, Wolvesey Castle and The Hospital of St Cross. Winchester also hosts dozens of musical, artistic, culinary and theatrical festival each year, so there is always plenty to do. Like most cities and towns in Hampshire, Winchester has great schools. There are a number of Church of England primary schools in the city — both private and public. In terms of secondary schools, Henry Beaufort School, Kings’ School Winchester, and the Westgate School are all very high-quality. A great city for sports! Sport plays a big role in the lives of people in Winchester. The city is home to the popular Winchester City Football Club which plays in the Hampshire League. The city also has a strong rugby team, athletics club, field hockey club, and bowling club. Recreational sailing is also popular in nearby Lymington and Cowes. The Winchester property market has become slightly more expensive in recent years as more people move into the area The overall average price is £468,807, which is more expensive than Kings Worthy (£400,551) and South Wonston (£382,531). However, the city remains cheaper than Twyford (£509,537). Property prices are up approximately 17% since 2013 and look to increase more in the coming year. Now is a great time to move to Winchester, before the property market becomes unaffordable. While there are a number of removals companies in Winchester, none provide the same level of service, professionalism, and value-for-money as Schepens. Our 4th-generation, family-owned business has been performing house removals in Winchester for more than 100-years. We love visiting Winchester and would love to help you move into your new home. Here are a few other reasons why Schepens are the best choice for house removals to Winchester! MOVING HOME NEEDN’T BE HARD WORK, LET SCHEPENS MAKE YOUR MOVE TO WINCHESTER A BREEZE! CONTACT US TODAY ON 01794 323558 TO GET A FREE, NO-OBLIGATION QUOTE.